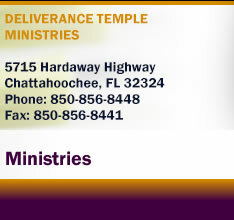 The Pastor's Aide Department of Deliverance Temple Ministries assist and support the pastor and his vision spiritually and financially. Primarily, the department is a prayer and spiritual support for the Pastor and the Church. The Pastor's Aide Department is a small but yet determined group of members who assist the Pastor in any way they can.